Dessa artister var med 2018. ​Pop, rock, blues, americana, folk, visor, indie – singer-songwritergenren är bred. I år har vi representanter från många länder! Här nedan kan du provlyssna och njuta redan nu, ladda upp inför 18/8. He began playing the piano at age five, and his uncle taught him guitar at nine. He never took formal musical lessons. 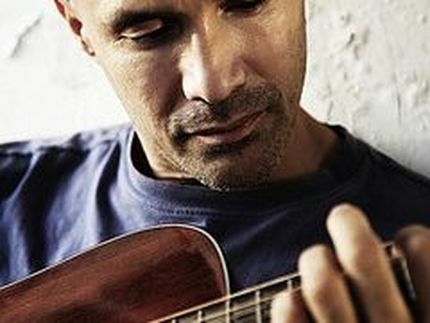 At the age of 10, while watching The Beatles on The Ed Sullivan Show, Bazilian realized that playing and creating music was what he wished to pursue with his life. By the mid 1970s, while attending the University of Pennsylvania, where he earned a Bachelor of Arts degree in Physics, Bazilian met Rob Hyman and Rick Chertoff, with whom he formed a band called Baby Grand. They would release two albums during their tenure. After Baby Grand disbanded, Hyman and Bazilian decided to try something new by combining, reggae, ska and rock’n’roll to create The Hooters in 1980. Nervous Night, The Hooters 985 debut, sold more than 2 million copies and included Billboard Top 40 hits "Day By Day" (#18), ”And We Danced” (#21) and "Where Do The Children Go" (#38). After releasing six albums, The Hooters obtained a large global following throughout the 1980s and 1990s. In 1995, The Hooters went on hiatus, although Hyman and Bazilian would continue to collaborate on musical projects for other artists. Bazilian reunited with The Hooters on successful headlining European summer tours in 2003, 2004, and 2005. 2007 saw the release of Time Stand Still, their first album of new material since 1993. In 2010, to celebrate 30 years as a band, they released a five song EP entitled ”Five by Five”, produced by Nick Jameson. The EP featured the only "official" studio recordings by the band of Rob Hyman's ”Time After Time” and Bazilian's ”One of Us”. The Hooters continue to tour successfully in Germany and Scandinavia and perform special concert events in their native Philadelphia. On November 17, 2000, Bazilian was inducted into the Philadelphia Walk of Fame on the Avenue of the Arts. "ELL & HART bjuder på skönsång, saxofon och härliga beats samt ett sound som känns både klassiskt och modernt på samma gång. Safoura Safavi (Abjeez, Laleh) - bas. ​är en konstellation som består av Annika Fehling, sång och gitarr, Christer Jonasson, gitarrer och lapsteel, och Robert Wahlström, slagverk. Alla tre är välrenommerade och etablerade musiker och kompositörer, med CD-utgivningar, turnéer, och konserter i Norden, Europa, USA och Indien. Gruppen bor och verkar också på Gotland i Sverige. AFT har precis utgett sin första gemensamma CD/Vinyl på skivbolaget Rootsy, "AFT - In the Universe"
Christer Jonasson, gitarrer och sång. Legendarisk gitarrist, munspelare, låtskrivare och sångare. Ett förflutet i Fria ProTeatern, med i "supergruppen" FJK, men förutom det gänget har han även jobbat tillsammans med bl. a. Kjell Höglund, Christine Hellqvist, Mikael Samuelsson, Maria Blom, Christer Lyssarides. Releases: singles ”Any Road”, ”As Time is Passing”, “Before You Fall Asleep”, “Goodbye”and “Viva la quinta brigada” (2015 Artache). TORIL SNYEN is a singer, piano player, songwriter from Norway living in Gotland, Sweden. Her music reflects her wide range of musical experience within jazz, classical, metal, pop, rock and blues. Currently she is touring and working in studio. Recent years Torils music is strongly influenced of moving from Oslo to the Swedish island Gotland where the beautiful nature and medieval architecture is very strong. The contrasts, the changes and the tempo of the everyday countryside life has made new musical impacts. But the strong influence from Metal/rock and electronica is more and more obvious in her songwriting and can be heard live. ​Toril plays in different constellations nowadays, and can be seen playing jazz in "Jazz Mode" and with "Standard Selection". She also has been touring and playing as a soloartist a lot with guitarist Christer Jonasson and drummer Robert Wahlström from AFT. Award-winning songwriter combines wildness, poetry and melancholy Songwriter of the Year – that’s the name of the prestigious price the jury of Danish Music Awards Folk 2016 chose to give to the young Finnish singer and songwriter MIRJA KLIPPEL. 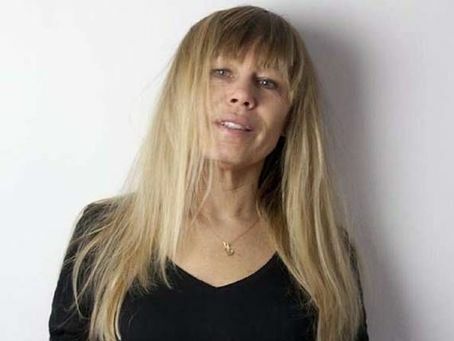 Klippel, who lives in Copenhagen, was granted the award based on her debut EP Lift Your Lion, where she plays with the recognized Danish guitarist Alex Jønsson. Klippel sings of love, war and longing; of blood ties and grandfathers fighting each for their own country. Of the forests, lakes and animals. She sings of nomad life and compassion – and of never completely belonging anywhere. The texts are a string of intense and at times held back feelings, that explode when Klippel’s deep, longing voice and Spanish guitar meet Jønsson’s falsetto and freely phrasing electric guitar. Together they create a crackling musical universe that is in constant movement. Like northern lights, that on one moment seem as sharp as a razor, and, the next second, flutter and flicker into unforeseen formations. Open chord progressions, free solo guitar parts and catchy melodies send the innermost thoughts and feelings soaring up to the sky. 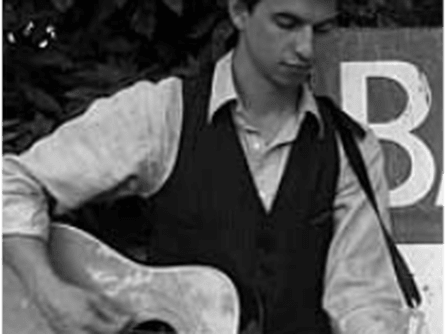 Klippel’s music is a flare – poetic and personal songs, that light up even the deepest of forests and darkest of souls. SIMON STÅLSPETS har turnerat och spelat i över 20 länder i Europa, Nordamerika och Asien. Ofta tillsammans med folk- och världsmusikgruper, t.ex. prisade folkmusikgruppen Stockholm Lisboa Project. På Visbyfestivalen framför Simon Stålspets originalmaterial. Sångerna handlar till exempel om livet på landsbygden, att äta för mycket Barbecue i Texas och drömmen om ett förstahandskontrakt. Flera av sångerna har tillkommit genom så kallad co-writing dvs i samarbete med andra svenska textförfattare/låtskrivare. DIANE PATTERSON är en karismatisk sångerska och exceptionell musiker som går sin helt egen väg. Det är omöjligt att lämna hennes konsert oberörd. Räkna med en konsert som väcker engagemang hos alla som lyssnar. Folkgoddess Diane Patterson sings the world awake with strong voice, rocking guitar, sweet ukulele, and revolutionary lyrics. Her sincere spirit and wild heart joyfully plant seeds of love and light in every listener.Diane’s been performing at festivals and venues since 1989, beginning with a season playing electric bass for the excellent Sacramento, California-based Blues Duo; then co-fronting a reggae and latin-inspired band in Davis called The Heat from 1989-1991. DANIELA DAHL är en 25-årig singer/songwriter som ursprungligen är från Stockholm men som flyttade till Visby för två år sedan för att studera musik på Gotlands Tonsättarskola. Hennes musik rör sig i gränslandet mellan meditativ pop och konstmusik. “Daniela Dahl skriver och framför musik som öppnar dörrar till ett heligt nu. Daniela tar lyssnaren varsamt i handen och leder oss in i ett rum där vi andäktigt tar emot varje ton, andning och tystnad som gudagivet. Tonspråket är jazz och mindful pop.”… är motivationen till musikstipendiet hon mottog hon fick från Sofia Församling 2015. Hon har spelat på scener som Scalateatern, Unga Dramaten, Kungsträdgården mfl.